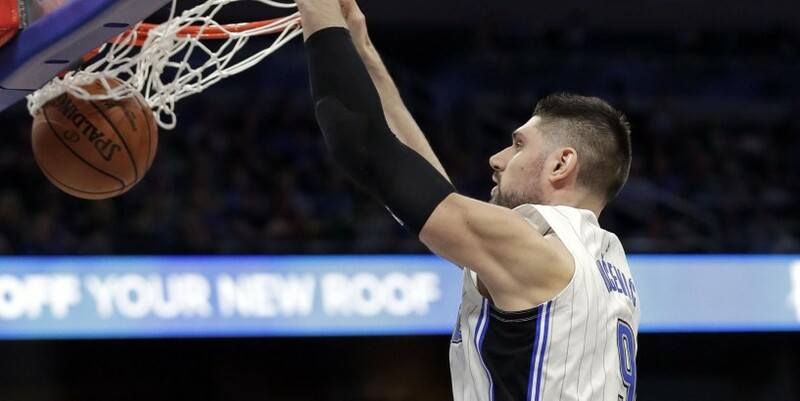 ORLANDO, Fla. (AP) - Aaron Gordon had 28 points and 12 rebounds, and the Orlando Magic held off a late rally to beat the Boston Celtics 105-103 on Saturday night. Jayson Tatum missed a jumper at the buzzer that would have tied it for the Celtics , who charged back from a nine-point deficit in the final 1:43 before losing to the Magic for the second time this season. Kyrie Irving scored 25 points for the Celtics , 10 of them from the foul line in the final 4:31 as Boston made its late charge. He appeared frustrated afterward with Gordon Hayward, who inbounded the ball on Boston’s final possession. Celtics : F-C Aron Baynes missed an 11th straight game with a fractured finger on his left hand. … Hayward, an 88 percent free-throw shooter, missed his first three attempts. Magic : Rookie C Mo Bamba, who missed a second game with a sore left foot, hopes to return by Wednesday. … Orlando won the season series for the first time since 2009-10. Celtics : At Brooklyn on Monday night. Magic : At home against Houston on Sunday night.